In 1917, Felice Sacchi, an Italian aircraft engineer, revolutionized the air pump of the day. Frustrated by fragile, easily breakable and imprecise pumps, he upended their internal mechanics by replacing a stack of bolted-together leather washers with a single, molded leather cup. That one change eventually made pumps more affordable and durable, and the iconic Silca Pista pump was born. For nearly a century, the company remained Sacchi family-owned and headquartered near Milan. Silca pumps were the go-to choice of mechanics, riders and service courses everywhere. In later years, facing the threat of cheaper Asian models, the brand was unable to compete and fell into decline. In 2013, Joshua Poertner, a former Zipp Technical Director, purchased the brand and moved it to Indianapolis. Starting with the launch of the SuperPista Ultimate Floor Pump, Silca’s US rebirth was met with head-turning awe. At nearly US$450, the pump instantly attracted the reverence of the collector set, cycling fetishists, and riders of a certain age who nostalgically remember the brand from their earliest days. Its clean vintage exterior houses a locally produced, finely machined interior of highest engineering standards. This was no simple pump. It was a pump with a potent political statement: design matters. Silca’s love of cycling, design and attention to craftsmanship shines through every well-thought-out product it releases. We take a look at three of the company’s more recent goodies. Silca’s Seat Roll Premio sets the standard by which all other seat rolls will be measured. It’s handsomely designed, sturdy and starts conversations whenever the group stops to repair a flat. Aiming to keep riders even just a little more visible on the road, the waterproof waxed canvas roll is embroidered with a reflective threading. It’s got three pockets; enough to hold a spare tube, a small multi-tool, some tyre levers and a couple of CO2 cartridges. It cleverly and securely fastens to saddle rails using a single Boa Closure System dial—the same system found on so many of today’s cycling shoes. The added benefit of the Boa system is the absence of zippers and flimsy velcro rail fasteners, keeping it lighter and more reliable. The system allows Silca to put the weight where it matters: in the heavy-duty material. If keeping your ride in seat-to-stem style is your thing, the Seat Roll Premio is a great addition. The rising popularity of gravel and adventure riding means we’re rolling out longer to more remote places that are simply farther from civilization. When things go sideways, the potential consequences increase exponentially. A simple end-of-ride flat can add significant time and unwanted extra adventure. In these situations, we’ve all had to hope for the best: that we’re inflating to a reliable psi that’s both safe and efficient. This is especially true with higher-volume, lower-pressure tubeless tire set-ups. 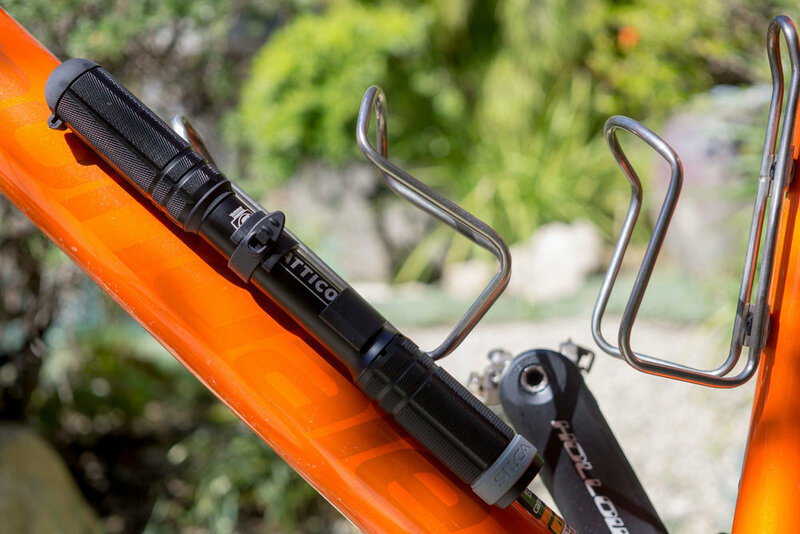 Silca has launched a high-tech version of its already sturdy and popular TATTICO frame pump. It’s now Bluetooth enabled and pairs to a companion iGauge app that uses your smartphone as an accurate pressure gauge. This hose-based pump attaches to both Presta and Schrader valves and will inflate up to 120 psi. 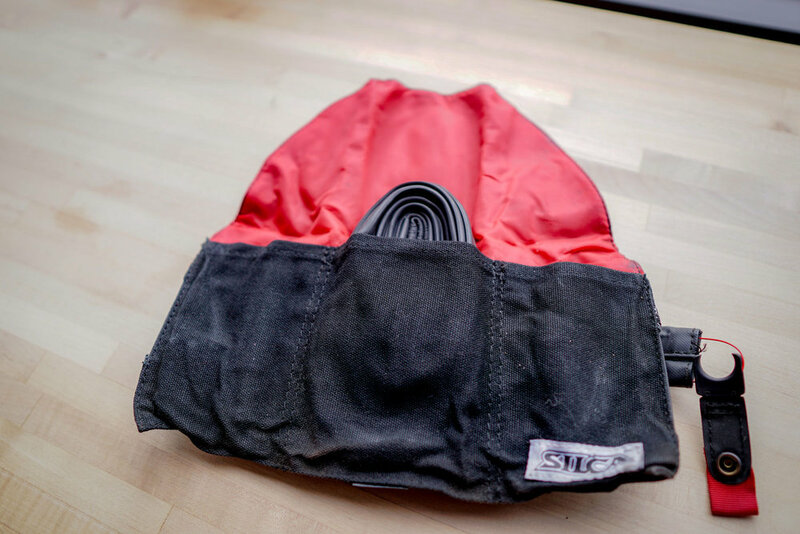 It has the sturdy, high-quality construction we have all come to expect from Silca. In a sport where we pay a higher premium for fewer grams, the TATTICO Bluetooth goes the other direction. It weighs a hefty 160 grams and costs US$120, which is $65 more than the low-tech TATTICO pump. With that premium price, though, comes Silca’s premium design and construction. This is a performance focused pump designed to withstand a beating, and it should hold up to whatever your favorite terrain can dish out. An over-torqued bolt is the quickest way to damage your expensive carbon frame, bars, stem or post. An under-torqued one can result in slippage and potential injury. Torque tools have become more readily available, but are often too large and cumbersome for travel. With its T-Ratchet + Ti Torque Kit, Silca has created a remarkably versatile and portable tool kit that’s light and diminutive enough to disappear into a jersey pocket. This machine-forged set is made entirely from titanium and aluminum. It comes with 10 magnetic steel bits, a 72-tooth ratchet system, a torque tube that covers 2-8 nm, and an extender that converts the set into a proper T-handle system. With this tool, it’s practically impossible to torque a fastener too much. When tightening, you only need to line the arrow to correct torque range—no pre-setting or clicking involved. The whole 30 gram kit is housed in Silca’s instantly identifiable and durable embroidered, waxed canvas carrying case. 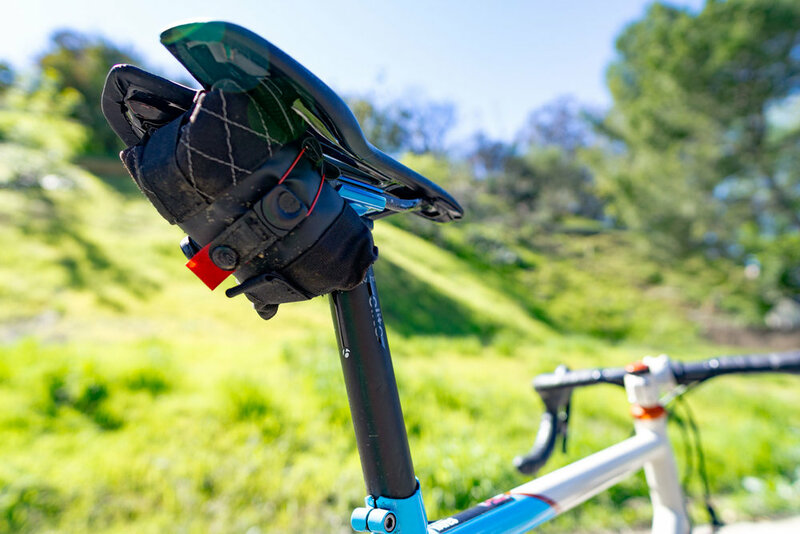 Lezyne shows off some its gear for cycling adventures.